Is It Safe To Eat Bratwurst While Pregnant? Do you love devouring bratwurst that’s been cooked in beer? 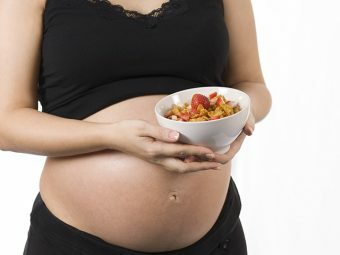 Are you craving for some now, but you are skeptical about the safety of eating bratwurst while pregnant? If yes, then you must consider reading our post below. 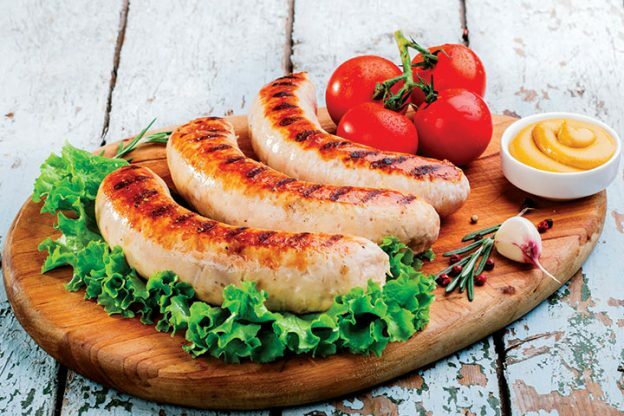 We look at the health benefits of bratwurst, how safe it is to eat while expecting, and what measures should you follow. Bratwurst is a traditional German cuisine. The meat sausage comprises pork, veal, and beef. Typically, it is cooked in broth or beer. Bratwurst offers several nutritional benefits, but it has a high-calorie and high-fat content, so you should eat it in moderation (1). Yes! It is safe to eat bratwurst during pregnancy. However, you need to cook it thoroughly, and avoid cooking it in beer. You need to heat to a temperature of at least 165°F. Raw or undercooked brat sausage may contain harmful bacteria like Listeria, which can cause serious complications during pregnancy. Listeria leads to muscle aches, nausea, fever, and headaches. So, you should avoid raw or undercooked bratwurst. Cooking the sausage at high temperature rids it of bacteria. Also, have a word with your doctor before you eat bratwurst during pregnancy (2). Bratwurst is a rich source of the mineral selenium. 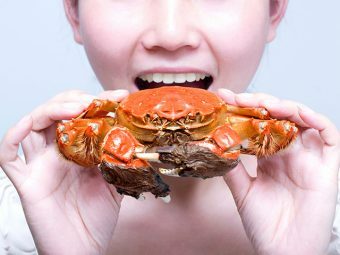 A healthy selenium intake will boost your immunity during pregnancy. Eating bratwurst can also improve thyroid function and protect your cells from disease-inducing free radicals. This property makes bratwurst and effective cancer inhibitor (3). Just 100 gms of bratwurst provides a whopping 297 calories. So eating 200 or 250 gms of bratwurst helps you achieve a huge amount of daily calorie intake. Thus, eating bratwurst offers pregnant women necessary amounts of calories even if they consume a limited amount of the dish (4). Doctors often advise you to avoid gluten-free food items during pregnancy if you are gluten sensitive. Bratwurst sausage is a healthy gluten-free food choice to enjoy while expecting. Since the dish is gluten-free, you won’t be at risk of developing celiac disease (5). 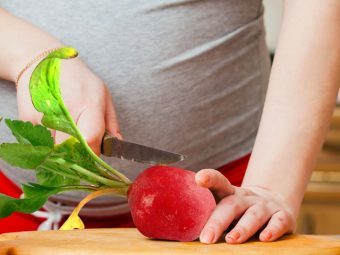 Proteins are extremely important for your body during pregnancy. Every 100 gms of bratwurst provides you 12 gms of proteins, which is about 8% of daily protein intake. Eating the sausage helps you fulfill the protein requirement during the pregnancy and ensure good growth and development of your unborn baby (6). Bratwurst is also rich in vitamin B6 and vitamin B12. 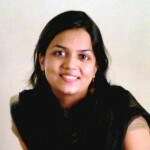 Both the vitamins are quintessential during pregnancy. Vitamin B12 helps prevent the risk iron deficiency or anemia while you are expecting. Vitamin B6 helps boost your immunity and promotes metabolism of proteins, fats, and carbohydrates. The vitamin is a vital nutrient for the development of your unborn baby’s brain and nervous system (7). To avoid these side-effects, ensure you heat the sausage at a high temperature before you eat it. Did you enjoy eating brats while pregnant? How did you cook it? Any special recipes you know about? Tell us below. Share your experience with other moms-to-be. Is It Safe To Eat Barbecue During Pregnancy? Is It Safe To Have Swiss Cheese During Pregnancy?